The MG Housing is one of the renowned companies in construction and development industry. 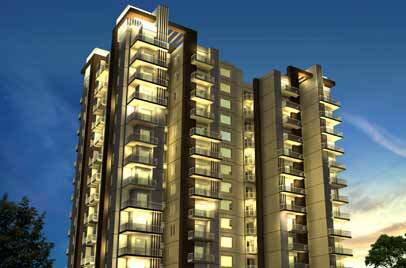 The company has introduced unmatched residential, commercial and retail projects in Delhi & NCR. MG Housing consistently raised the qualitative of its projects that offers ultra luxury amenities to the buyers. The company was actually incorporated in 2012 by two dynamic entrepreneurs specializing in Indian Real Estate Development. Mr. Ajay Mangal & Mr. Dinesh Chand Gupta is the founder of the company and are the person behind the enormous success of the company. Since its inception both the experts have been working hard to take the company at the peak of prominence. The extraordinary architectural structures with strong engineering the company are presenting many alluring housing projects that are well equipped with ultra modern amenities. The unmatched and strong build ups, mesmerizing appeal, presentable architecture, eco friendly projects, and above all, a very pocket friendly price offer are the USP of projects by MG Housing. The motive of the company is not simply to earn profits but they believe to meet up the customers’ expectations and provide them a magnificent housing complex with world class amenities so that the living standard of each individual can be enhanced through their unrivaled housing solutions.